Sunday, March 10, 2 – 4 p.m. In the early-to-middle 20th century, Florida shot from a frontier state populated mostly in its north to an urban state populated mostly in its south and leading America’s race to the moon. Trouble was, its post-Reconstruction, “Old South” constitution of 1885 locked the legislative districts into their 1885 scheme, keeping a stranglehold of power in the rural north. Dade County, with a half-million residents, had only three representatives, while every tiny county in the Panhandle had at least one. 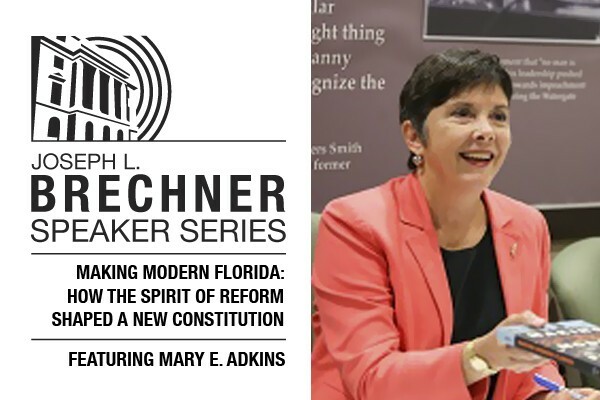 Twin fights by reformers who sought a modern constitution and fair districting —with the League of Women Voters playing a leading role —tell the story of how Florida modernized its government to match its new face.